Zhemchuzhnikov, Lev [Жемчужніков, Лев; Žemčužnikov], b 14 November 1828 in Pavlovka, Orel gubernia, Russia, d 6 August 1912 in Tsarskoe Selo, Russia. 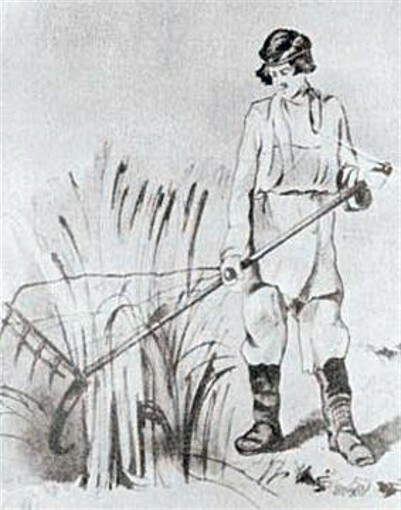 Russian painter and graphic artist; grandson of Count Andrii Rozumovsky. 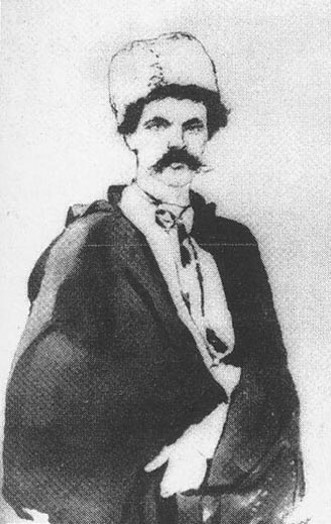 A graduate of the Saint Petersburg Academy of Arts (1852), he lived in Chernihiv gubernia and Poltava gubernia in 1852–6 and collected folklore there. 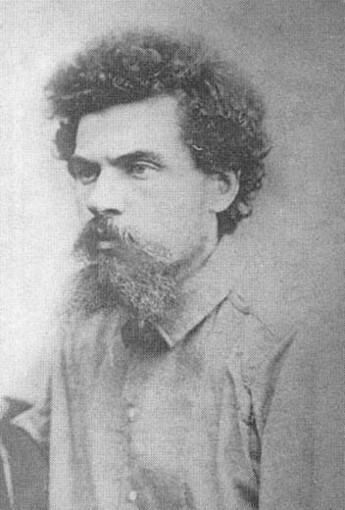 He corresponded with and helped the exiled Taras Shevchenko. 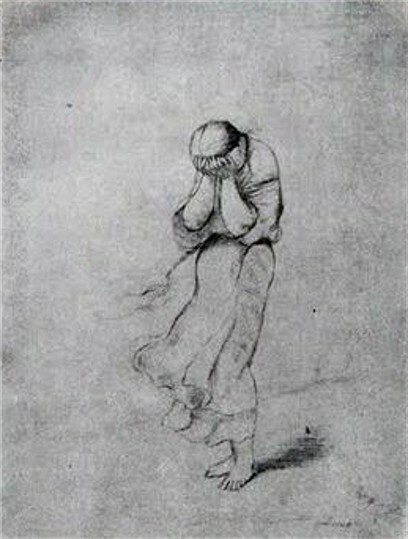 Some of Zhemchuzhnikov's best works are devoted to Ukraine and are influenced by Shevchenko's poetry and art. 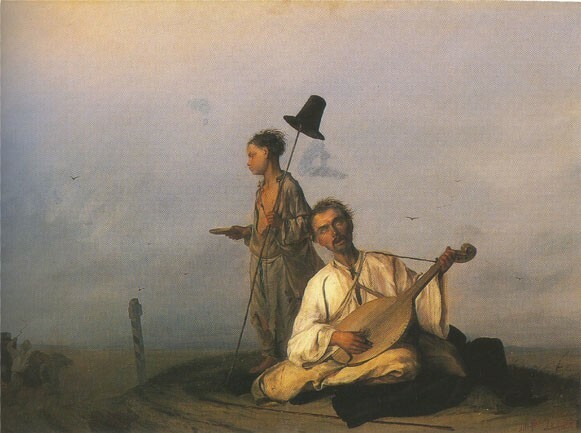 They include the paintings Kobzar by the Road (1854), Lirnyk Indoors (1857), and Cossack Riding to the Sich (1887); the ink drawing Woman Reaper (1851); the watercolor portrait Khymka Zabyiachykha (1853); the sepia Cossack in the Steppe (1853); and the etchings Ukrainian Girl (1860), Ukrainian Man (1862), and Abandoned Girl (1869). 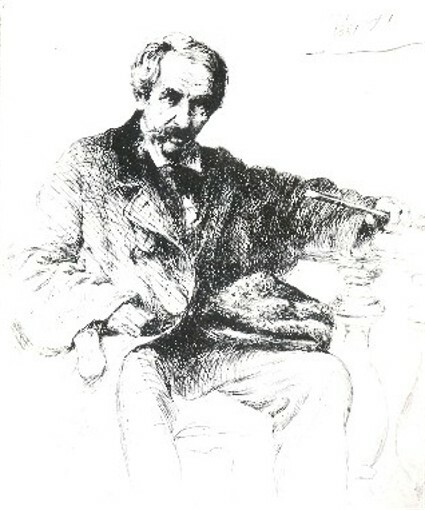 Zhemchuzhnikov contributed to Osnova (Saint Petersburg) (1861–2) and put together an album of his own and other artists' etchings, as a supplement to Osnova; it was called Zhivopisnaia Ukraina (Picturesque Ukraine) in homage to Shevchenko's album of the same title. 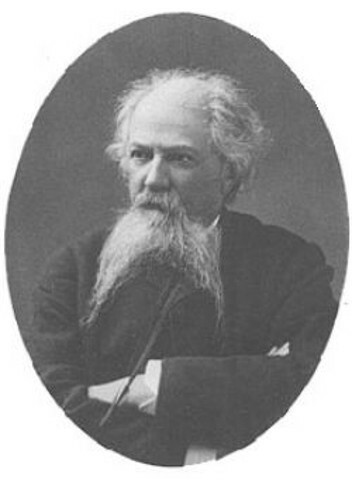 From 1875 to 1892 Zhemchuzhnikov was secretary of the Moscow Art Society. A book about him by Lidiia Popova was published in Kyiv in 1961, and his memoirs were published in Leningrad in 1971.